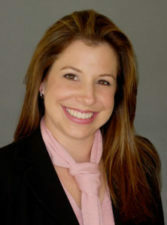 Jennifer Gross is a native Miamian and has served on the Citizen Review Panel since December 2012. She has worked in Real Estate for the past 15 years and in the custom home building industry for over 22 years. Jennifer is a member of: The National Associations of Realtors, The Florida Association of Realtors, State Director for the Florida Association of Realtors, A member of the Grievance and Professional Standards Committee for the Miami Association of Realtors, Coral Gables Chamber of Commerce Trustee Member, Historical Preservation Association of Coral Gables and a member of Christ Journey Church in Coral Gables.